The Congressional Art Competition began in 1982 to provide an opportunity for members of Congress to encourage and recognize the artistic talents of their young constituents. Since then, over 650,000 high school students have been involved with the nationwide competition, which is open to high school students in each member’s congressional district. One piece is chosen from each district and displayed in a walkway between the House office buildings and the U.S. Capitol. 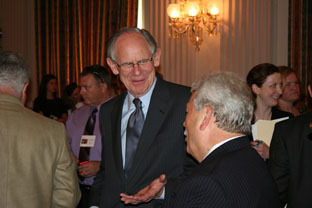 The 2009 Congressional Art Competition Reception was held June 24, 2009 in Washington, D.C. The winning entries from each district are posted below.